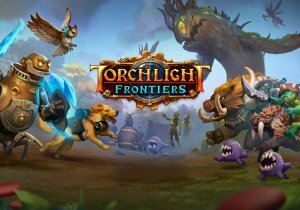 Perfect World revealed their first look at the upcoming Torchlight Frontiers, the upcoming shared-world ARPG. It’s scheduled to release in 2019 for PC, Xbox One and Playstation 4, and will bring back many of the elements fans of the Torchlight universe love. In true Torchlight style, players will team up with friends and devoted pets to hack and slash their way through a vibrant world, discover ancient ruins of lost civilizations and brave dungeons filled with riches and dangerous creatures.